Cygolite Bike Lights | Charleston Bicycle Co.
A few years ago, any bicycle light that bright enough to let you see where you were going at night was expensive. You could have spent many times what a Cygolite Streak 450 currently costs, and still gotten something heavier, dimmer and less reliable. Lights that are meant to help OTHERS see YOU cost less than lights for you to see by. (A brighter headlight is required to really light your path). But advances in battery and LED technology means that really good lights cost less than ever. We recommend rechargeable lights, and nobody does them better than Cygolite. Cygolite has an excellent reputation in the bike world, and their products feature excellent function, consistent quality and competitive pricing. 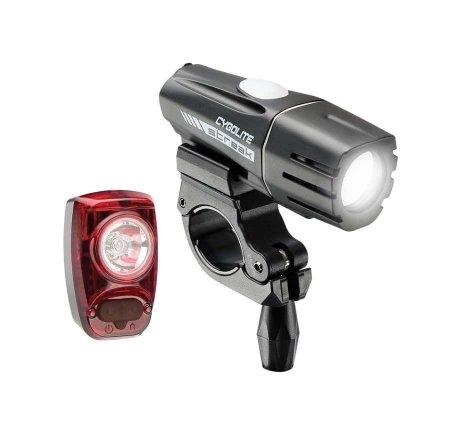 For general commuting and night riding, a combo like this is currently a great choice... http://www.cygolite.com/product/streak-450-hotshot-sl-50-usb-combo. Get it for 15% off when you mention this post! Be the First to Know About Sales & Events! Copyright ©2017 Charleston Bicycle Company. All Rights Reserved.